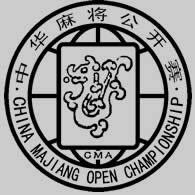 The fourth China Majiang Championship (CMC) will be held from Oct.20 to 23, 2006, in Tianjin. The 《Mahjong Competition Rules》(by World Mahjong Contest Center) and related provisions of the Organizing Committee. All participants must above the age of 18 on Sep. 26th, 2006. There are no different treatment with gender and age. There are 8 complete games (Ju) total.（Each Round (Quan) changes），the former 6 complete games (Ju) is Round Robin; The later two complete games (Ju) according to the way of “high marks’ encounter” to arrange the order of seats of the 7, 8 complete games (Ju). The participants and Teams get their ranks by the total scores of the whole 8 complete games (Ju). Scoring of the competition: four, two, one, zero point. All participants who observe the rules of the Championship to finish the competition and attain ranks, certificates and souvenirs. The top 16 individual participants and the top 6 teams can get their awards. The top 3 individual participants will respectively attain the titles of champion, runner-up and the third position in the fourth China Majiang Championship. According to the 《Mahjong Pin Grade Standard》（advance copy）(by World Mahjong Organization(WMO)), the participants who gain ranks in this activity will obtain the certificate of grade signed by Mr.Yu, Guangyuan, the president of the WMO, and the honorary president of the CMC. Deadline for Application: Sep. 26th, 2006. Registration Fee: The registration fee is $120 per person, the bank costs without in it. It includes: 《Mahjong Competition Rules》, handbook of the Championship, results volumes, certificate of ranking, keepsake, lunches during the Championship, welcome meeting, award ceremony and so on. It doesn’t include car fare, board and lodging expenses. The participants should transfer the registration fee and other charges during the Championship to the Organizing Committee appointed bank account. Non-participants need to pay the charges in the hotel and other expenses, needn’t to pay the registration fee. The accepted participants should stress morality and fair game; they should observe the judgment of the umpire and respect for other players; they should spread the positive image of this game and try to raise their own culture morality; they should play the game aiming at promote the spirit of Olympics and strengthen themselves. I will observe the rules of the Championship and competition’s guidance. During the period of the Championship I will not attend any game or entertainment activities involving gambling. I am now testified by doctors to be in good health, and can participate this Championship without any health problem. I will be totally responsible for my safety and properties; I will be totally responsible for compensation for other people’s safety problem and property loss caused by me. I agree that my name and photo can be used in Competition-related propaganda, broadcasting, TV and other reports. During the period of the Championship, if there is any accident or health problem caused by myself, it will have nothing to do with the Organizing Committee, and I will not charge the Championship. I will comply the cure arrangements of the Organizing Committee, and the related fee will be paid by my insurance agent and myself. I testify that I have been over 18 years old, and I have fully understood all the files and documents. In order to assure the healthy safety, if you have any family diseases and hyper susceptibility of medicine, please send a testifying paper to the Contacting and Reception Committee of the Championship. The Contacting and Reception Committee is in charge of the registration of foreign participants. 10. The right of explanation belongs to the Organizing Committee, and the unmentioned information until further notice. 1. Copies of application form are also acceptable to the Organizing Committee. 2. For the already-accepted participants, if they have some personal problems so that they can’t participate the championship, they should contact with the Contacting and Reception Committee in the way of Fax in time. Then the contacting and reception committee will handle this problem according to related regulations. If they don’t inform in time, they have to be totally responsible for their loss. * The price of double room same as single room. $20 per person, it includes four breakfast（10.21―10.24）and one supper (10.22). It doesn’t include the meals before 10.21 and after the breakfast on 10.24. The registration fee includes three lunches during the Championship, welcome meeting and award ceremony. If non-participants would like to eat with players during the Championship, the rate is $60 per person; it includes four breakfast, three lunches, one supper, welcome meeting and award ceremony. The standard of meals is same as players. If you need, please let the External Contacting and Receiving Committee know the date, time and flights number of arriving and departure, and other details of your trip. We can arrange people meet you at the airport and for $25 per person, it also includes send you to the airport when you leave. There is about 100 kilometers between the Beijing Central Airport and the hotel, 1 hour and half-hour for car. The participants and non-participants should transfer the registration fee and other charges during the Championship to the Organizing Committee appointed bank account. Non-participants needn’t to pay the registration fee. 1. What kind of room would you like? 3. The date, time and flights Number of arriving and departure. You’d better change money at the airport, we think it will much easier than in the hotel. We are very happy you can come and participate the championship.